Wearing hearing protection such as ear plugs and ear muffs is essential when you’re working in environments prone to high noise levels and frequency. By wearing them, you reduce the risk of suffering temporary or permanent hearing damage, as they work by lessening the sound energy which reaches your inner ear. The law requires employers to ensure that the hearing of employees is protected from excessive noise under the Control of Noise at Work Regulation 2005. However, the first course of action should involve trying to reduce these levels as much as practically possible, whether that be through engineering or controls such as segregating activities. If these levels still remain dangerous having done everything you can, then Hearing Protective Equipment (HPE) is required to further reduce the exposure to individuals. When noise levels are, on average, 80 decibels and higher, an assessment is required and relevant information and training must be provided. When the daily or weekly average is 85 decibels and louder, then hearing protection equipment and zones must be provided. Generally, when it’s necessary to raise your voice to have a conversation when 2 metres apart, the noise level is likely to be above 85 decibels. First, you will require a noise risk assessment. Carried out by a competent person, this will identify where the risk is and who it is likely to affect. It will then provide you with an estimate of the average exposure and identify possible control methods, based on the work they do, the way in which they work, and how it can vary. Daily exposure to sounds such as lawnmowers and handsaws, which typically produce around 85dB, would cause moderate to severe hearing loss when exposed to it on a daily basis. For sounds reaching over 100dB, like industrial machinery can easily achieve, then even brief exposure can cause permanent loss and immediate pain. This is why choosing the right hearing protective equipment is so important. Knowing the average exposure level of your employees is essential when making your selection. 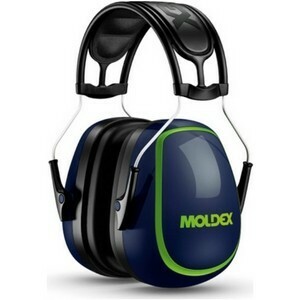 You must choose ear plugs or ear muffs which are suitable for managing the hazards and associated risks, be suitable for the work carried out, and suit the worker as well. You should look out for the SNR value, which is the number of potential decibels the hearing protection will reduce the noise levels by when worn correctly. The ultimate purpose is to reduce sound levels to a safe level, ideally between 70 and 80 decibels. And just as it is important to reduce sound levels, you need to ensure you’re not over protecting as this can result in the wearer not hearing important everyday sounds, including the fire alarm. There is a wide range of ear protection available to ensure you find the most suitable equipment to keep yourself or your workers safe. This depends on personal preference, as well as whichever is generally best for the job. 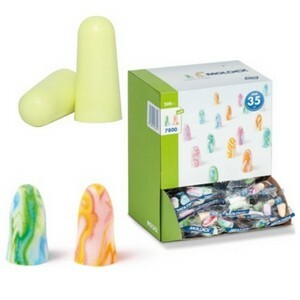 Ear Plugs are made of an expandable, slow recovery foam. To insert, you roll it between your thumb and finger, then place it in your ear where it will expand to plug the gap, whilst providing a snug and comfortable fit. Generally disposable, they’re suitable for most scenarios, with specific ones available for certain environments. For example, for the food industry, these need to be blue and contain a metal component in order to make them easily detectable. They are also available with a cord which joins them, making it harder to lose if one were to fall out of your ear or allow them to hang around your neck when removed briefly. Ear Muffs are better suited to those who don’t like or have trouble with having something in their ear, but are also better suited for certain environments. These feature a cushioned cup which fits over the ear to create a seal which blocks out noise and benefits from a rigid and robust design which remains comfortable to wear for an entire shift.